Freud argued that religions originate in the unconscious needs, longings and fantasies of human minds. His work has served to highlight how any analysis of religion must explore mental life, both the cognitive and the unconscious. 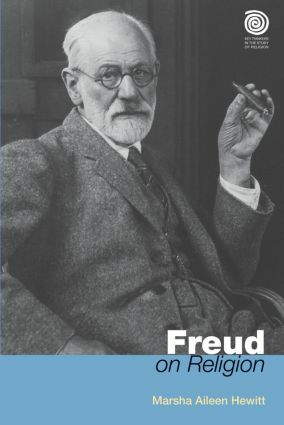 'Freud on Religion' examines Freud's complex understanding of religious belief and practice. The book brings together contemporary psychoanalytic theory and case material from Freud's clinical practice to illustrate how the operations of the unconscious mind support various forms of religious belief, from mainstream to occult. 'Freud on Religion' offers a new way of understanding Freud's thinking and demonstrates how valuable psychoanalysis is for the study of religion. Marsha Aileen Hewitt is Professor of Social Ethics and Religion at Trinity College, University of Toronto and a psychoanalyst in private practice. Her books include From Theology to Social Theory: Juan Luis Segundo and the Theology of Liberation and Critical Theory of Religion: A Feminist Perspective.